Stornoway Castle once stood on a rock in Stornoway harbour but nothing of it now remains and its site has been incorporated into a modern pier. Exactly when Stornoway Castle was built is unknown. The earliest date ascribed to it is as a 15th century castle of MacLeods of Lewis. 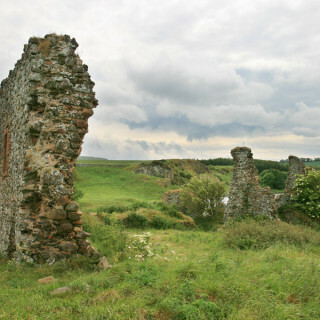 The MacLeods were the chiefs of Lewis from the 13th century and so it has been supposed that the castle may have dated back to the 13th century. There is also a tradition that the castle was built by the MacNicols as far back as the 11th or 12th centuries prior to the MacLeods taking possession in the 13th century. 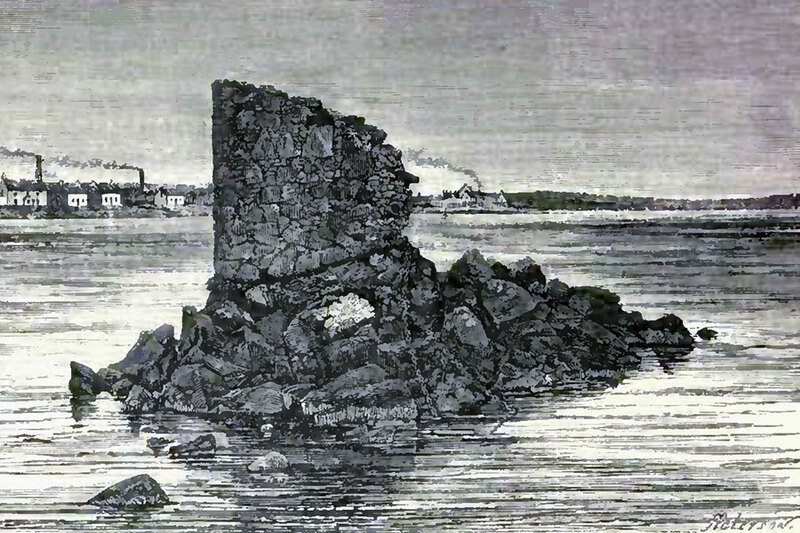 The castle occupied a rocky island in Anchor Bay just off the spur of land upon which Stornoway sits, offering a good degree of defence due to being separated from the town by a channel of water. What form the castle took is unknown however it may have looked similar to Kisimul Castle which occupies a similar island location in Castlebay on Barra. Towards the end of the 15th century James IV sought to extend his authority over the Western Isles which had previously enjoyed some autonomy under the control of the Lord of the Isles. Torquil MacLeod, the then chief of the MacLeods of Lewis, resisted and was accused of treason. In 1506 Alexander Gordon, 3rd Earl of Huntly, captured Stornoway Castle for the King. 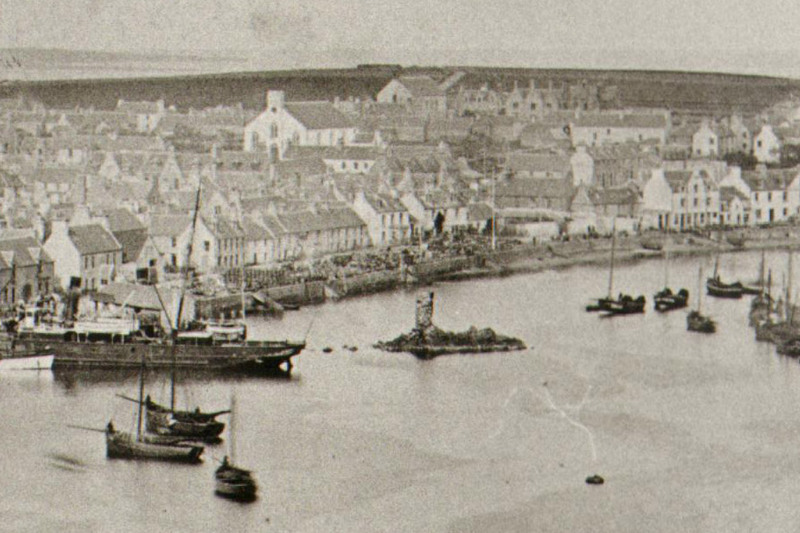 In 1511 the MacLeod lands were reacquired by Torquil’s younger brother, Malcolm. Following his death around 1528 the lands passed to his nephew, John, the son of Torquil, and the MacLeods seem to have returned to their belligerent ways. John was succeeded by Rory, Malcolm’s son, who fought with rival clans on Skye and the mainland and as a result was accused of treason in 1540. However he was evidently rehabilitated as in 1541 he was granted by James V the lands, island and barony of Lewis, including the castle, upon his marriage to Barbara Stewart, daughter of Andrew, 1st Lord Avondale. The MacLeods continued to cause problems for the Crown, and with the infant Mary on the throne James Hamilton, 2nd Earl of Arran and Regent of Scotland, dispatched the Earls of Huntly and Argyll to destroy the MacLeods and others in the Western Isles. 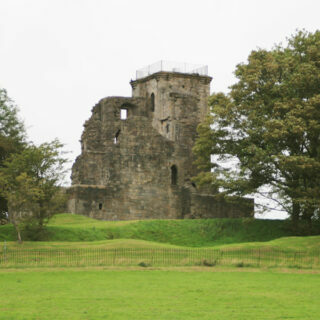 In 1554 Archibald Campbell, 4th Earl of Argyll, laid siege to Stornoway Castle but the artillery bombardment proved unsuccessful and the MacLeods seem to have remained in possession of the castle. 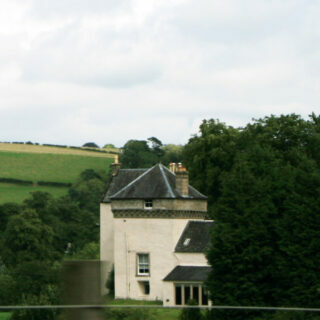 Rory MacLeod and Barbara Stewart had a son, Torquil, who was known as Torquil Oighre (Torquil the heir) to distinguish him from Torquil Connonach, the illegitimate son of Rory’s first wife, Janet, the daughter of John Mackenzie of Kintail, who committed adultery with Hucheon Morrison. 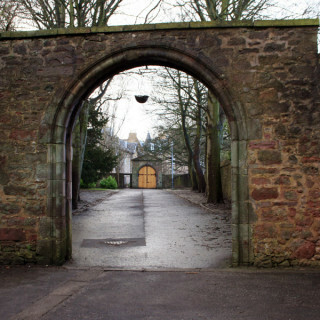 Torquil Oighre drowned in 1566 and Torquil Connonach took this opportunity to seize the castle, imprisoning Rory MacLeod in it for four years. Relations between the two seem to have improved and Rory took possession of the castle once more. 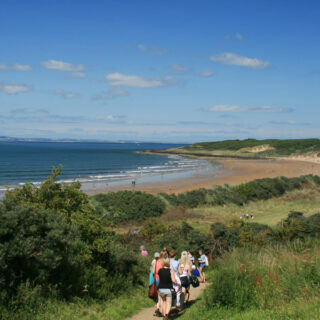 But when he died in 1595 and was succeeded by his son Torquil Dubh, a product of his third marriage, Torquil Connonach took exception and fought with Torquil Dubh. The legal claims to the lands of Lewis were decided by a Royal charter of 1596 which granted them to Torquil Connonach but reserved the castle to the Crown. 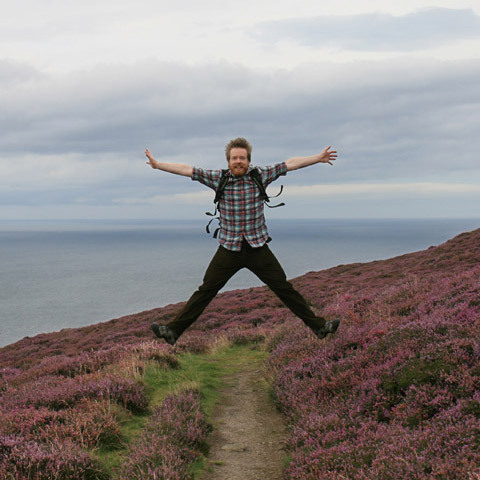 In 1597 the MacLeod lands were forfeited and James VI awarded land on Lewis to the Fife Adventurers, twelve Lowland landowners. Intended to “civilise” Lewis, trouble flared up and military expeditions were dispatched to to pacify the island. Kenneth Mackenzie of Kintail joined these expeditions, having a vested interest in the lands of Lewis – his brother, Roderick, was married to Torquil Connonach’s daughter Margaret. 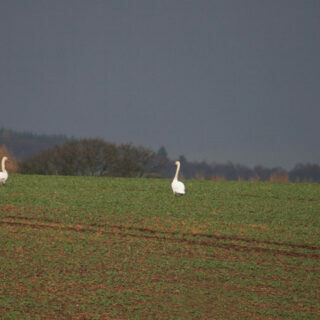 However he also discreetly assisted the locals in their fight against the invaders. Another of Rory’s sons, Neil MacLeod, had captured Stornoway Castle from the Fife Adventurers, and in 1607 Mackenzie of Kintail received a commission to stop MacLeod, capturing the castle. James VI granted Lewis to James Elphinstone, 1st Lord Balmerino, Sir George Hay and Sir James Spens of Wormiston in 1608, but by continuing his discrete support for the locals Mackenzie of Kintail persuaded them to sell Lewis to him for a considerable sum. In 1610 he was created the 1st Lord Mackenzie of Kintail. Upon the death of the 1st Lord Mackenzie of Kintail in 1611 Stornoway Castle passed to his eldest son, Colin Mackenzie, who in 1623 would be created the 1st Earl of Seaforth. Following his death in 1633 the castle and the lands of Lewis passed to his brother, George. Despite a personal attachment to Charles I George was initially a Covenanter, but later went over to the Royalist side. George died in 1651 and was succeeded by his son Kenneth who used Stornoway Castle as a base for resisting Cromwell’s troops. Due to his loyalty to Charles II Kenneth’s lands were forfeited in 1654. The castle was destroyed by Colonel Cobbett’s Regiment of Foot in 1654. There are suggestions that the castle may have been partially rebuilt and occupied for a time later, but this essentially seems to be the end of the history of Stornoway Castle. The lands continued to be owned by the Mackenzies until 1844 when they sold it to Sir James Matheson, the co-founder of Jardine Matheson. 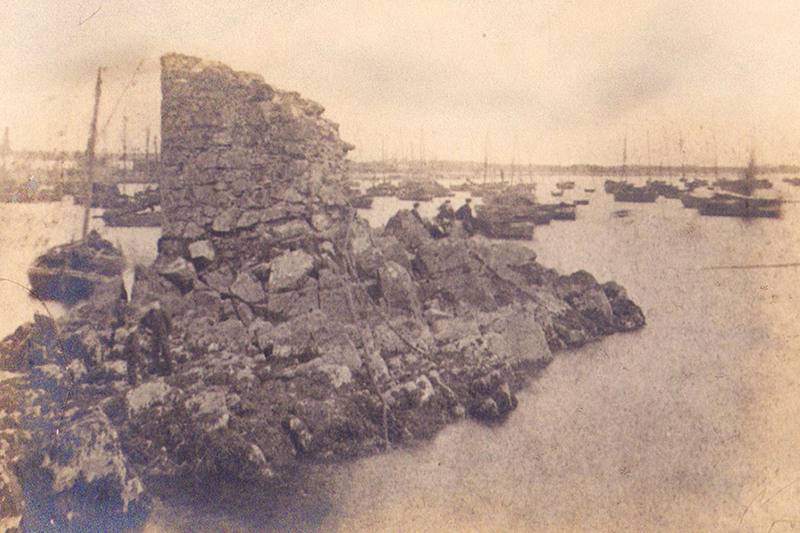 The ruins of the castle remained in the harbour and are marked on old maps. 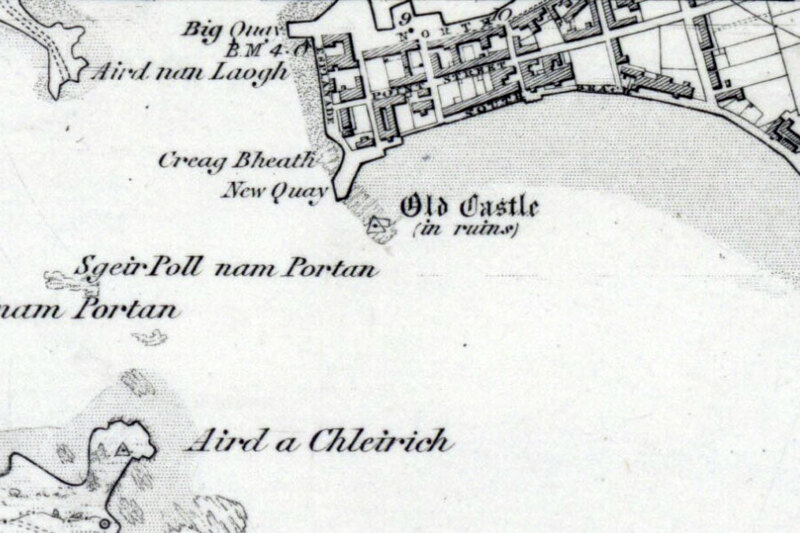 A map of Stornoway harbour surveyed in 1846 and published by the Hydrographic Office in 1849 shows the castle as two rectangular buildings, although how accurate a depiction this is remains unclear. 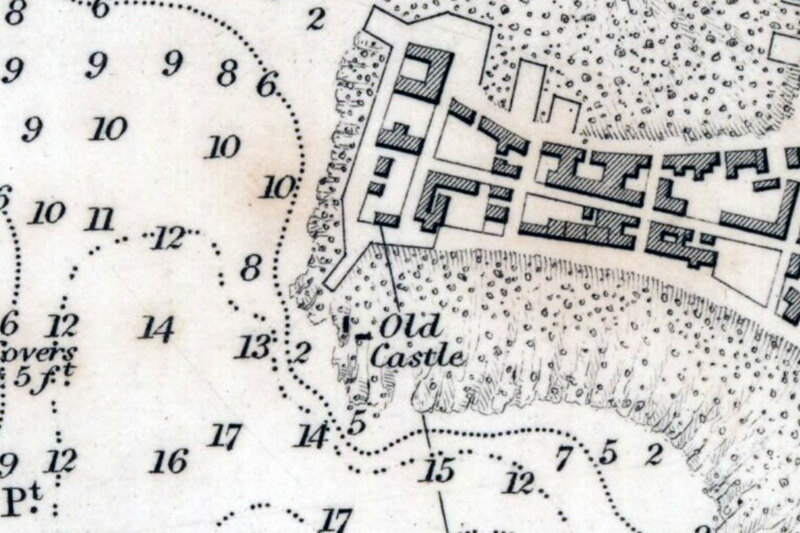 The Ordnance Survey six inch to 1 mile map of 1851 also shows the castle ruins, this time as a single rectangular building. By the mid-19th century the ruins of the castle seemed to consist of a corner of walling on a much-reduced island. Stone had been removed over the years both for local building work and also for use as ballast. 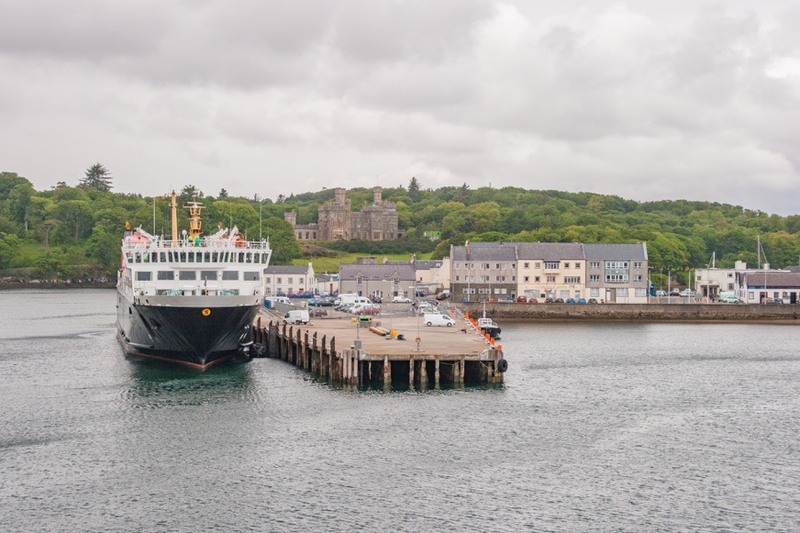 The last remains of the castle were finally removed in 1882 as part of harbour improvements, and the site of Stornoway Castle has now been absorbed into the large modern pier number 1. Stornoway Castle is in the parish of Stornoway and the county of Ross and Cromarty. Published on the 12th of February 2012 at 6:10 pm. Updated on the 20th of August 2015 at 3:13 pm.